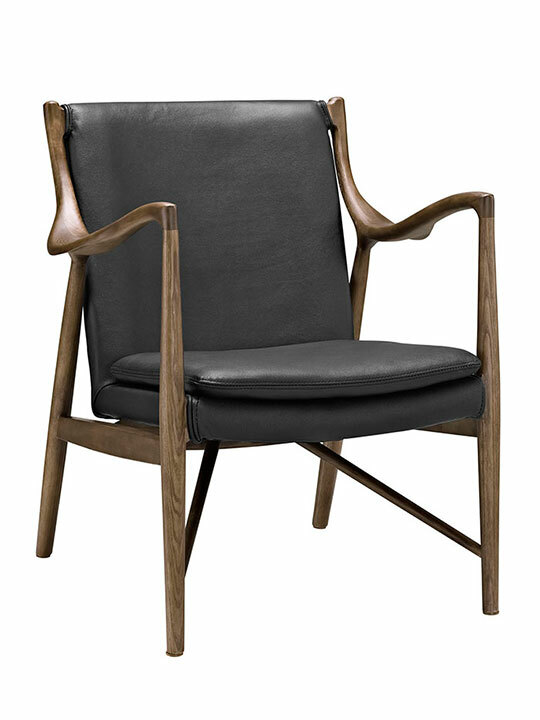 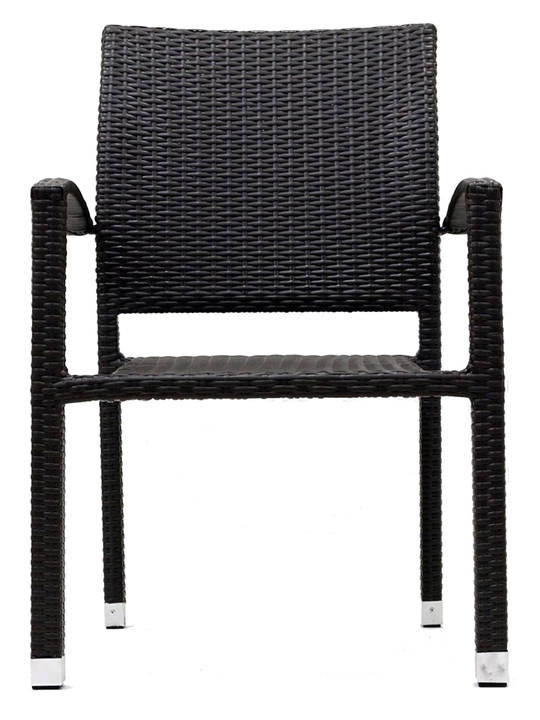 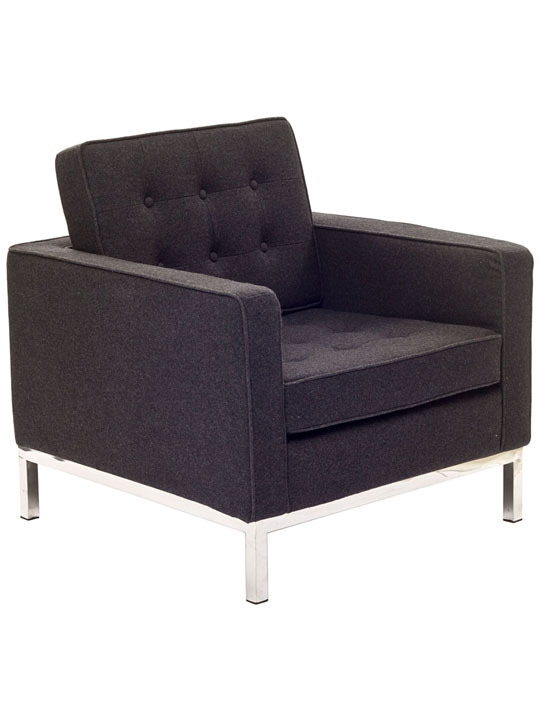 The simple style of the Bateman Wool Chair makes for a clean and sharp look. 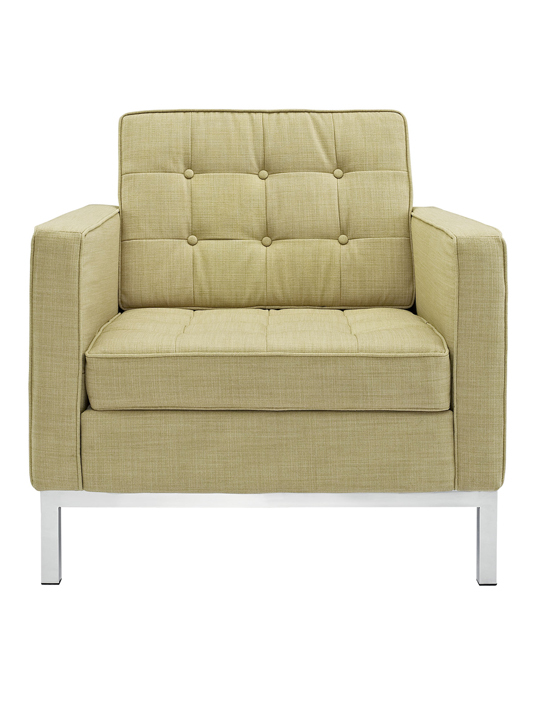 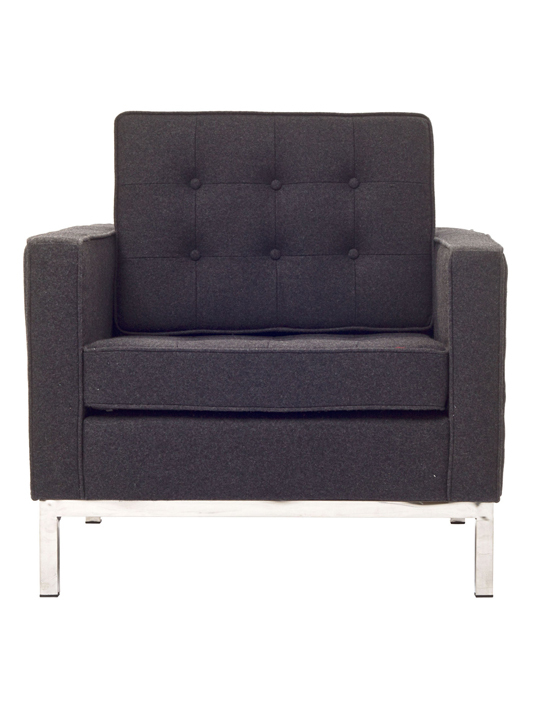 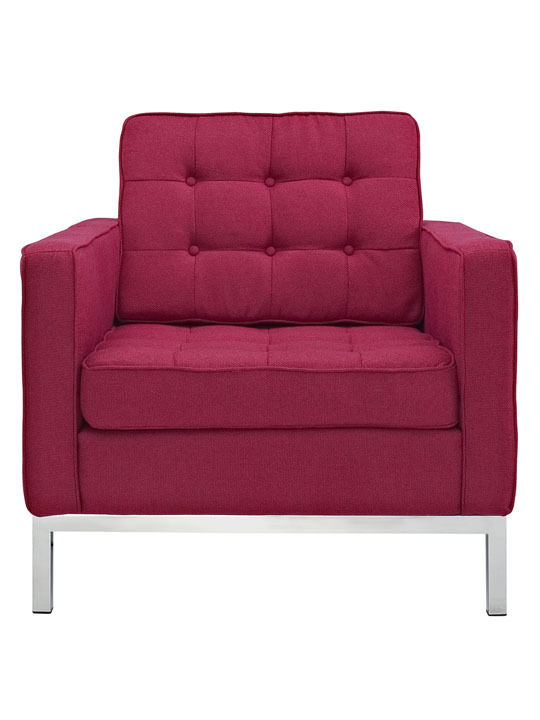 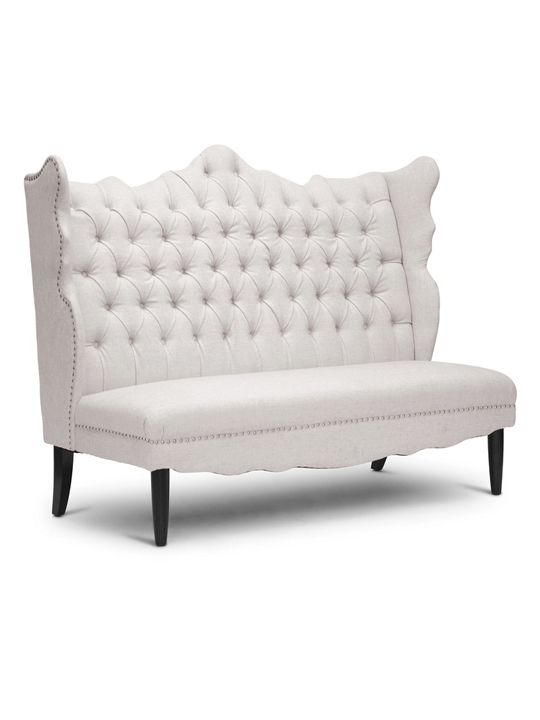 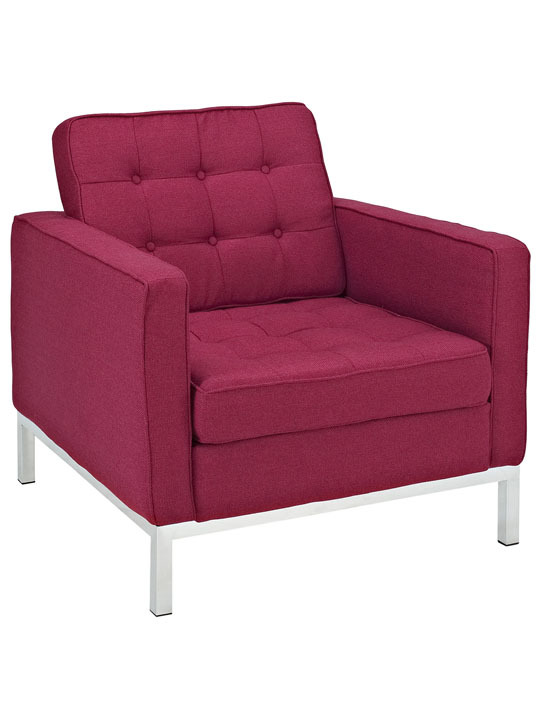 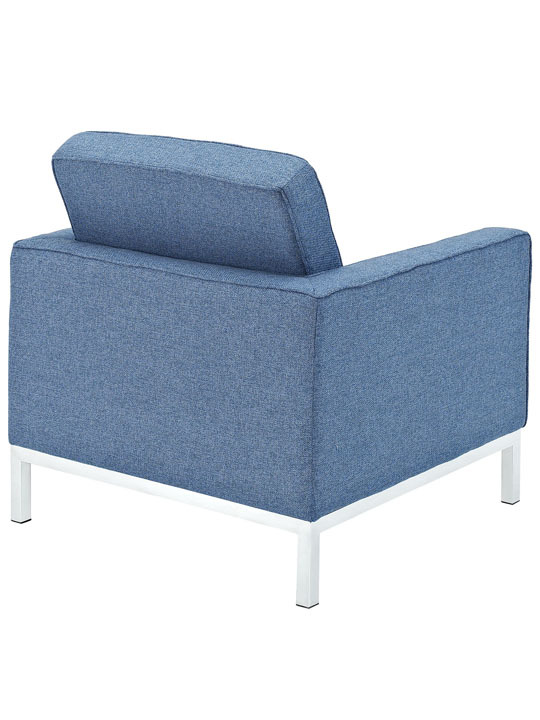 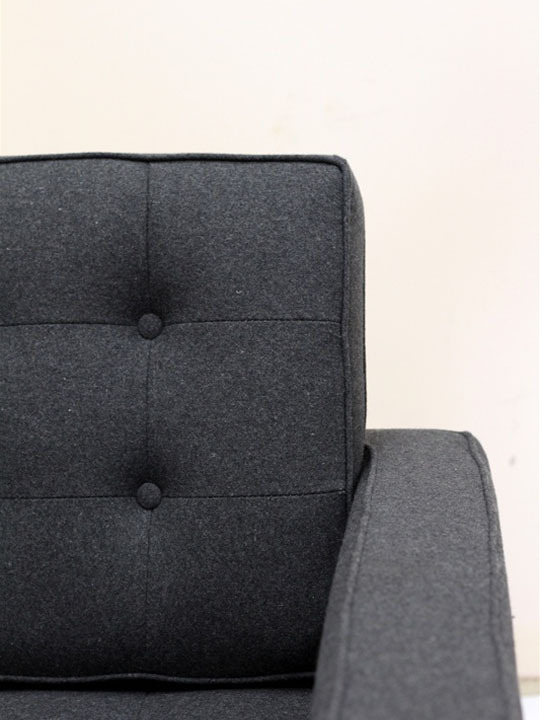 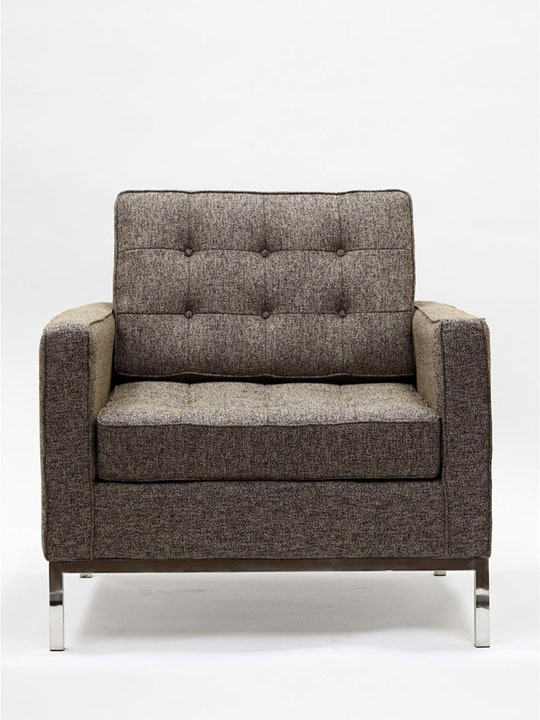 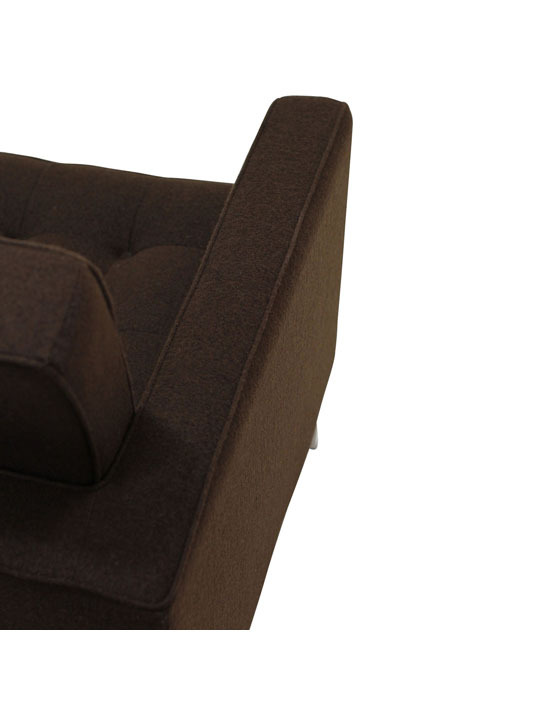 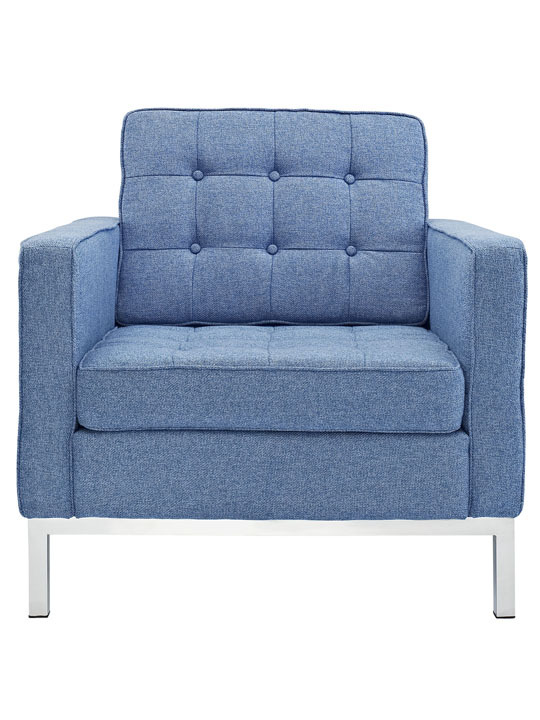 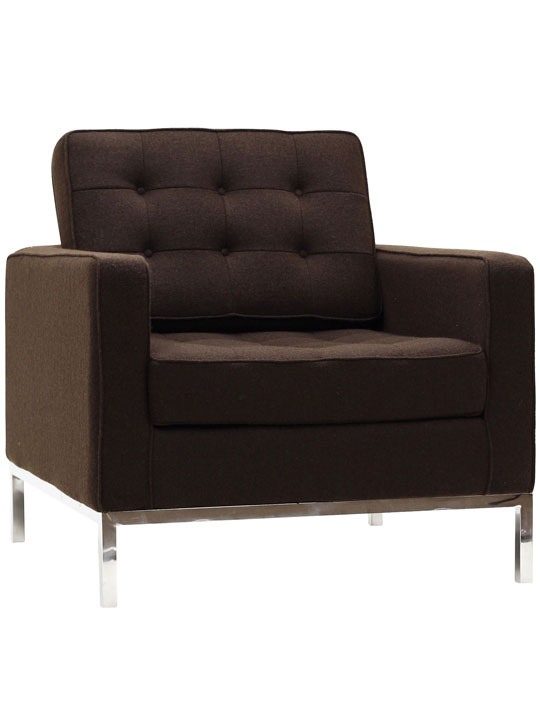 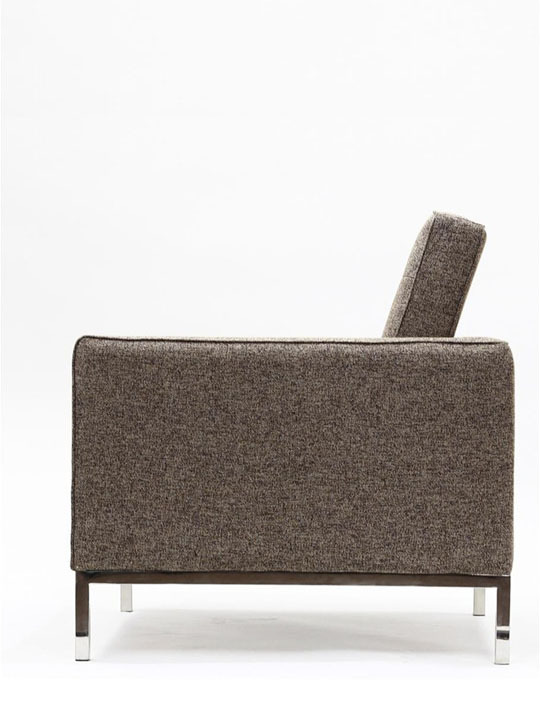 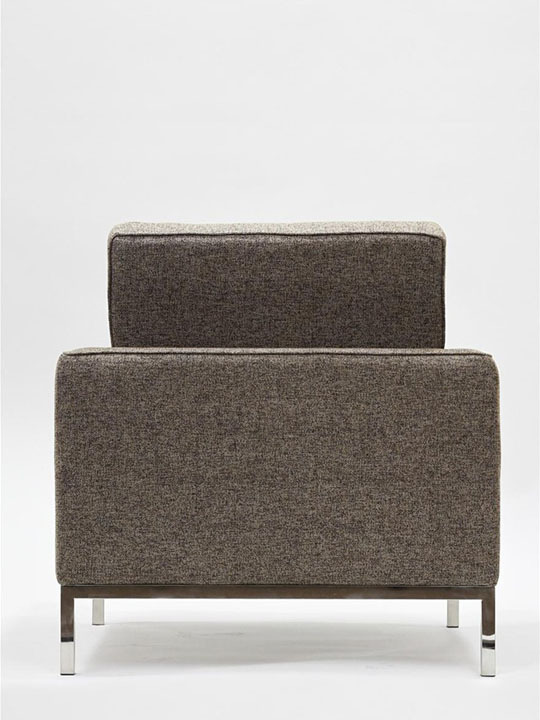 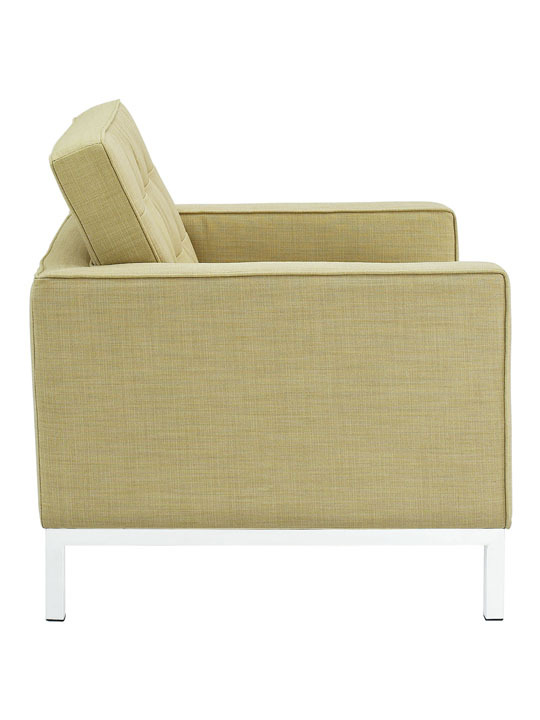 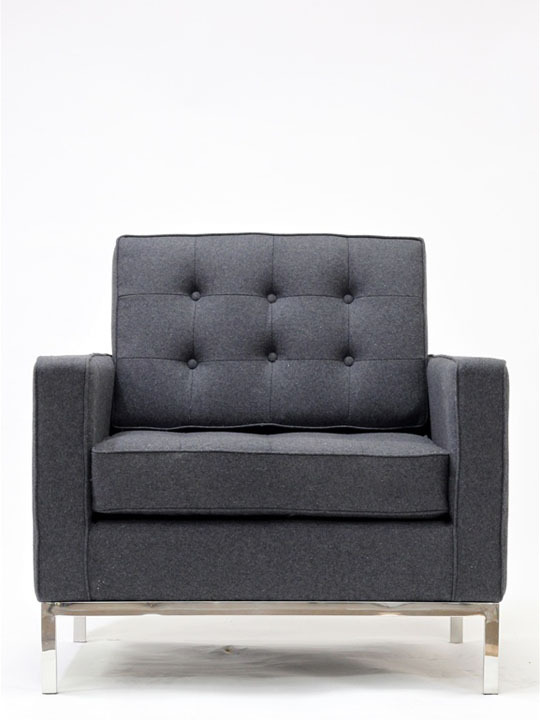 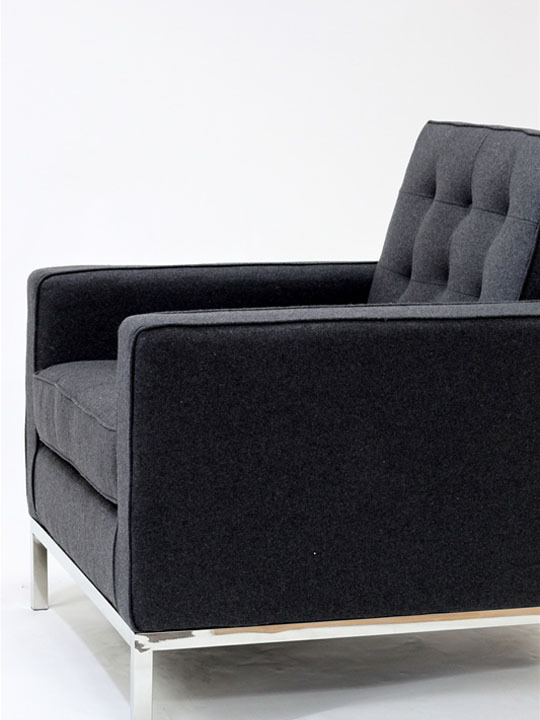 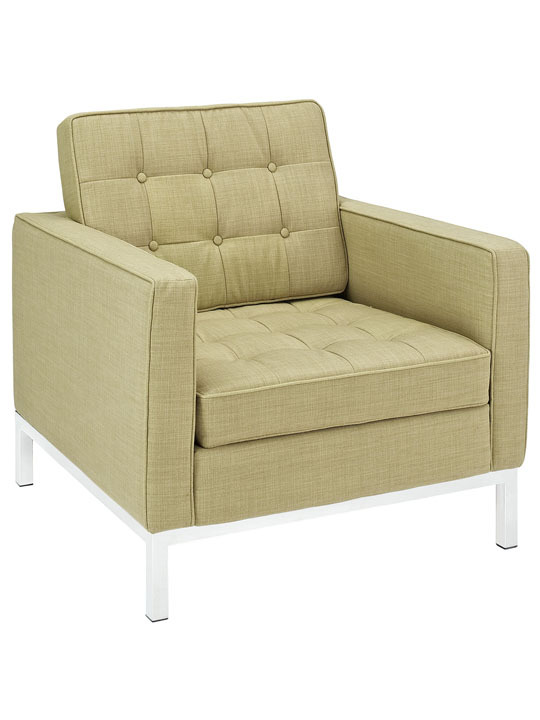 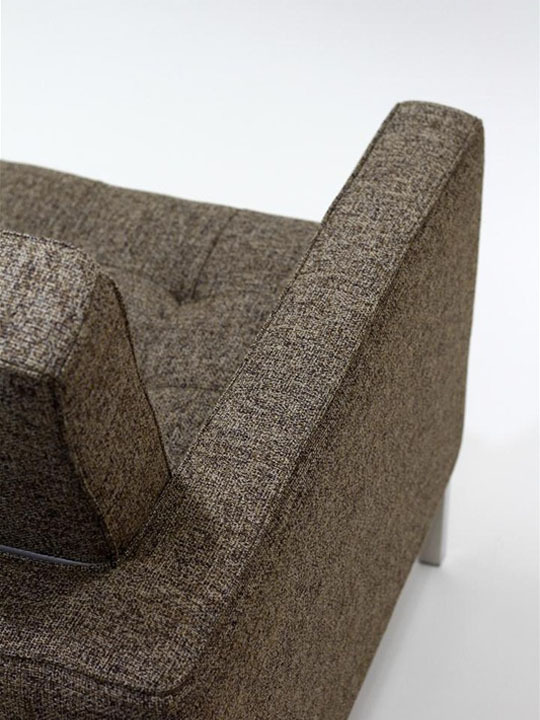 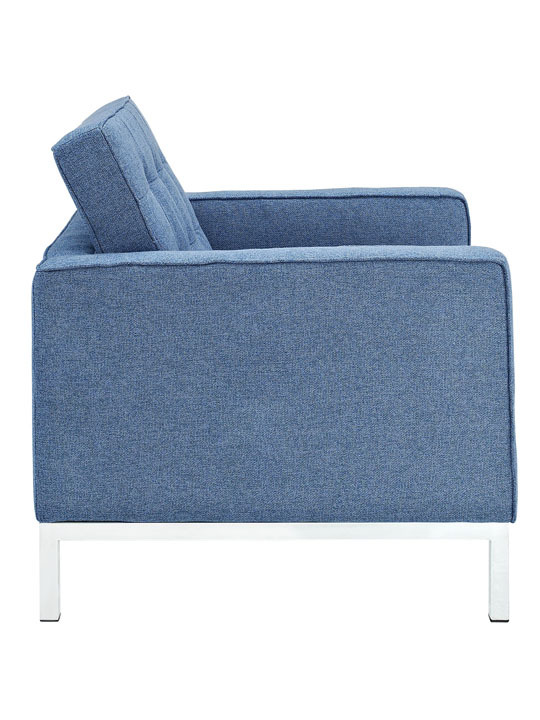 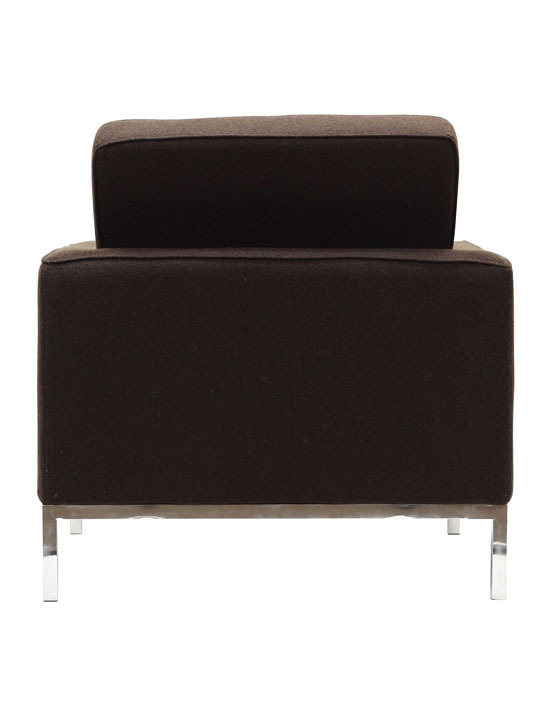 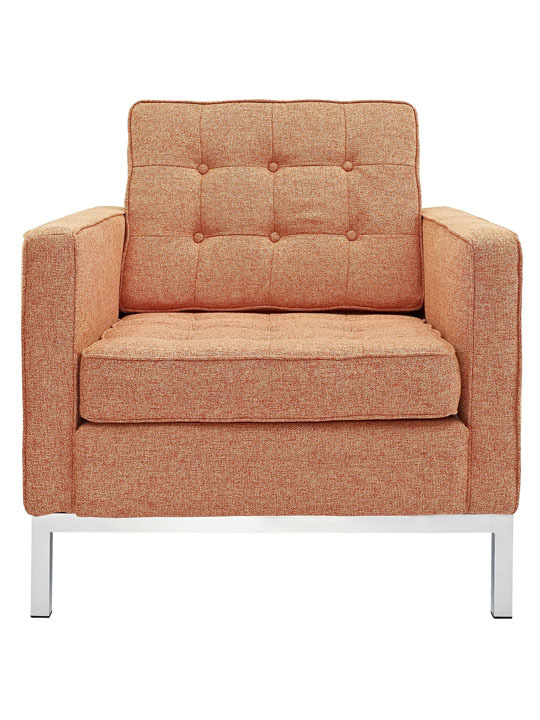 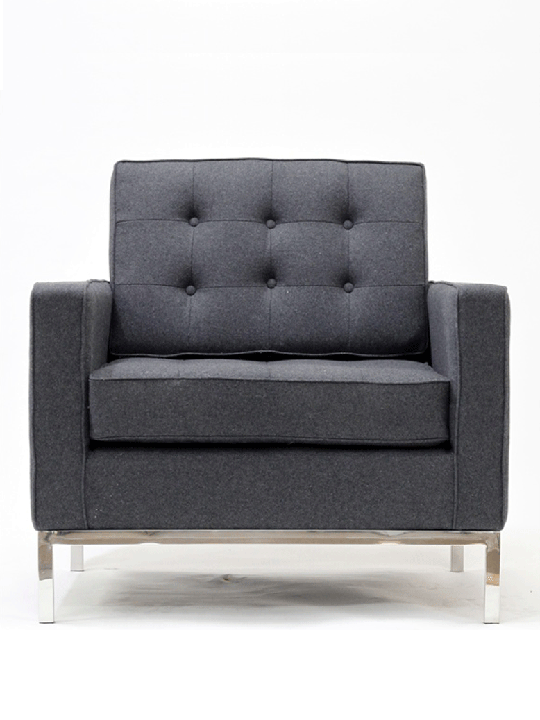 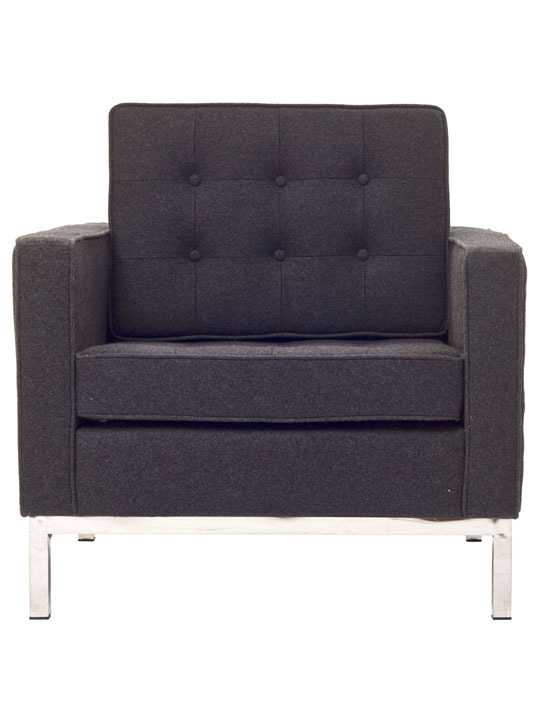 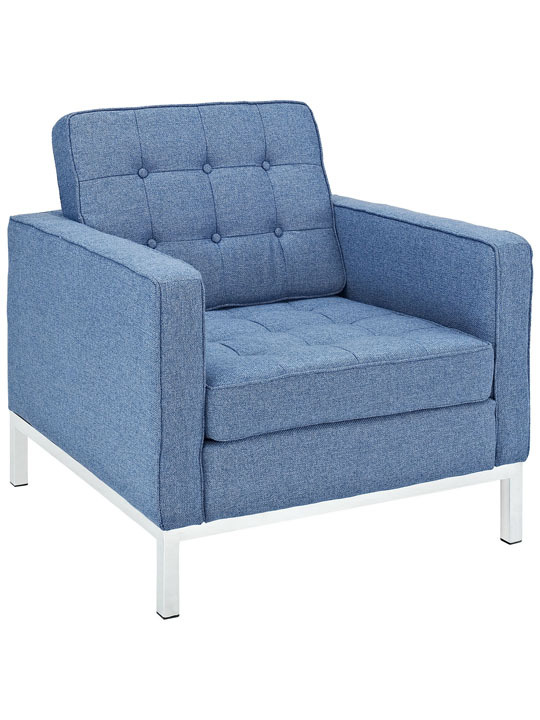 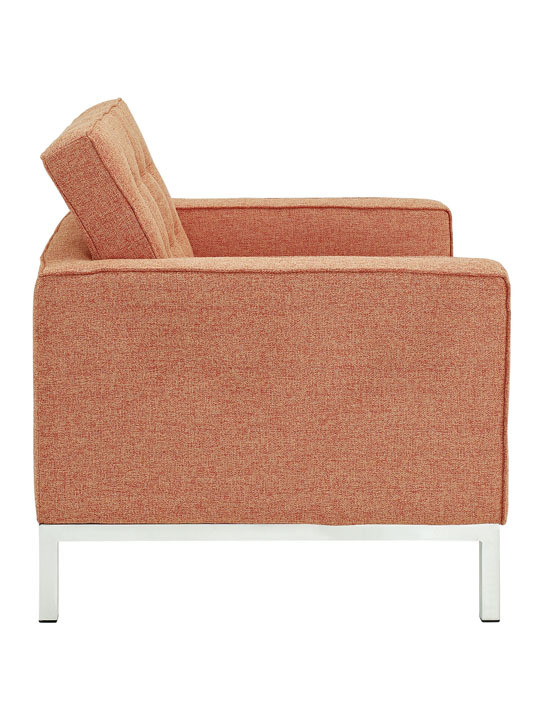 Tufted wool accents create a beautiful pattern and the chair’s low profile makes this item ideal for small spaces. 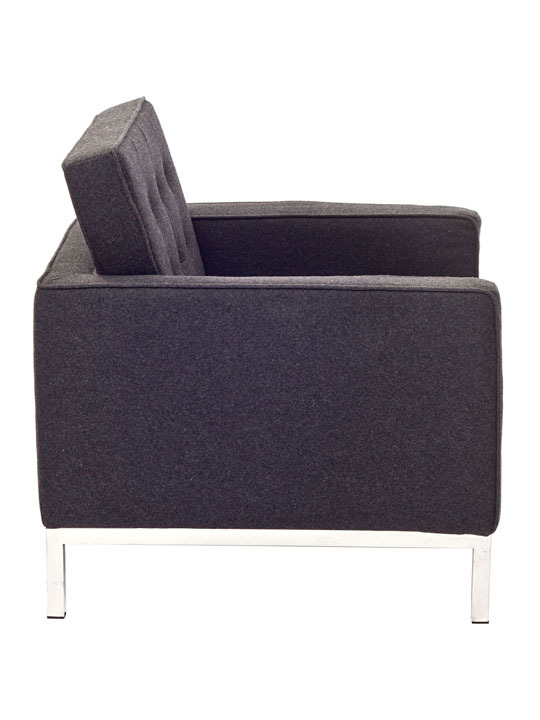 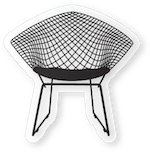 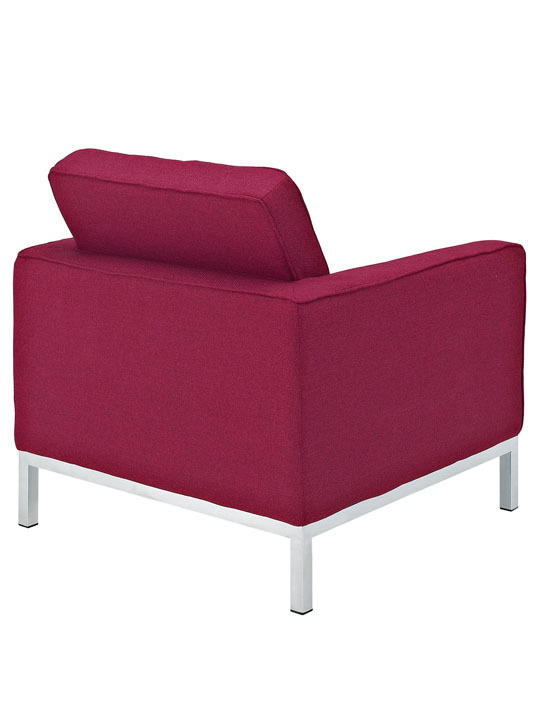 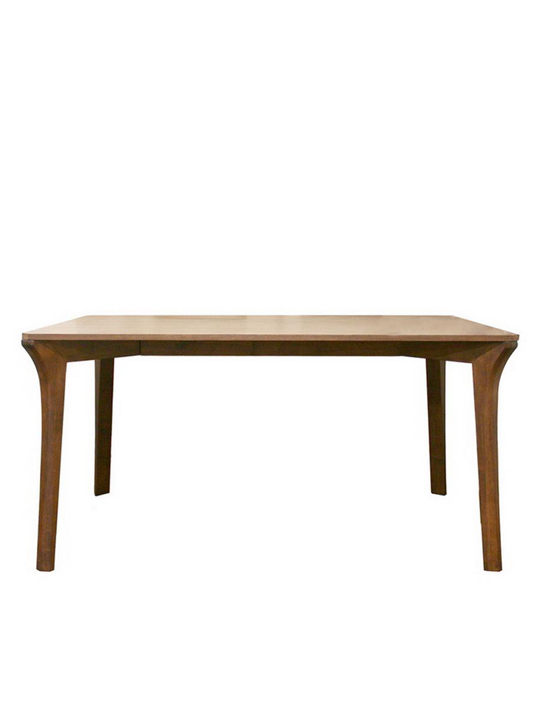 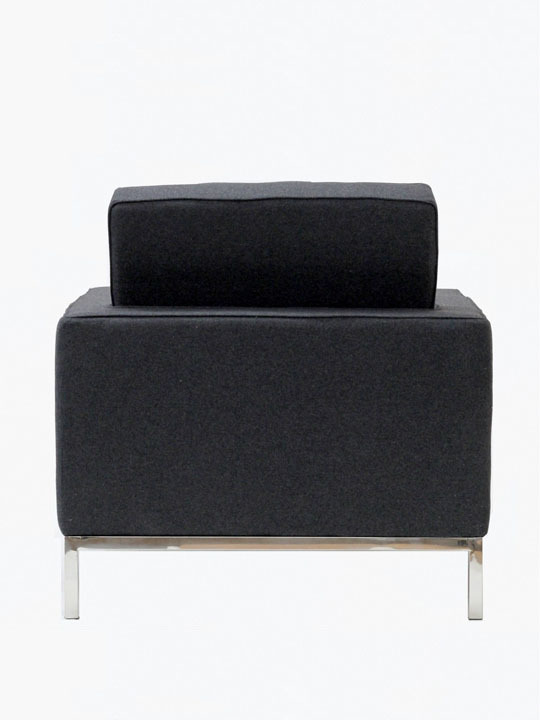 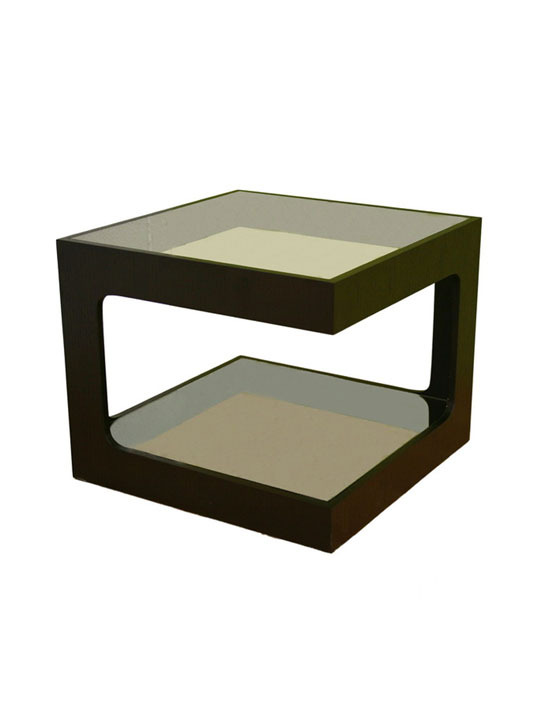 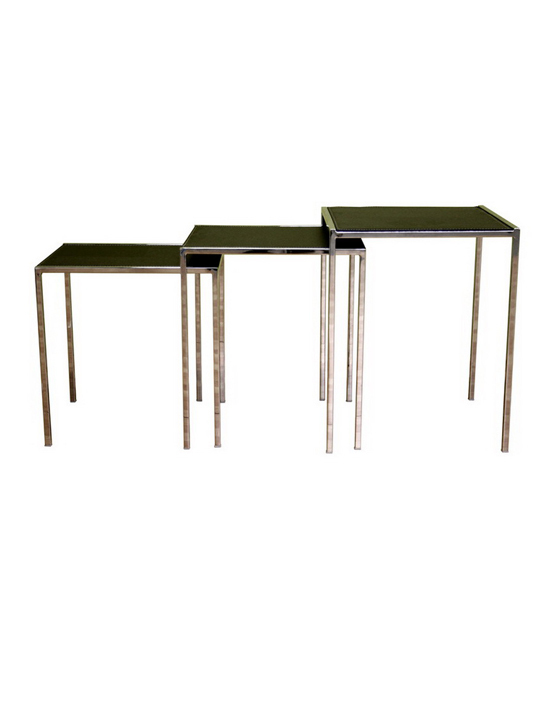 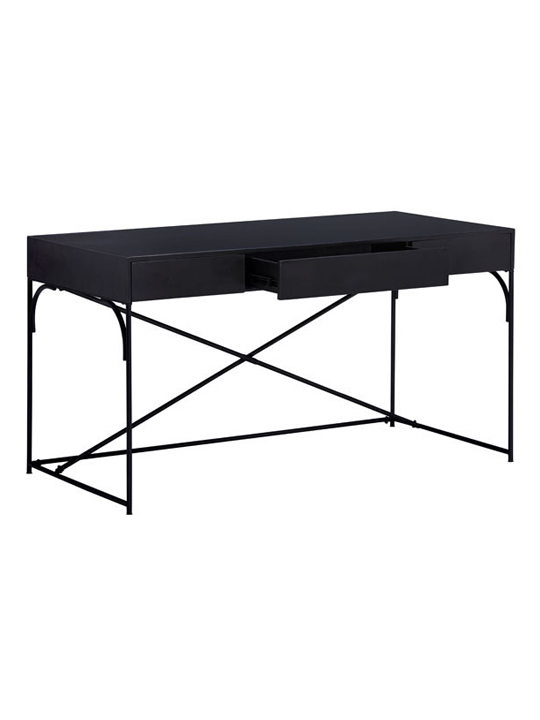 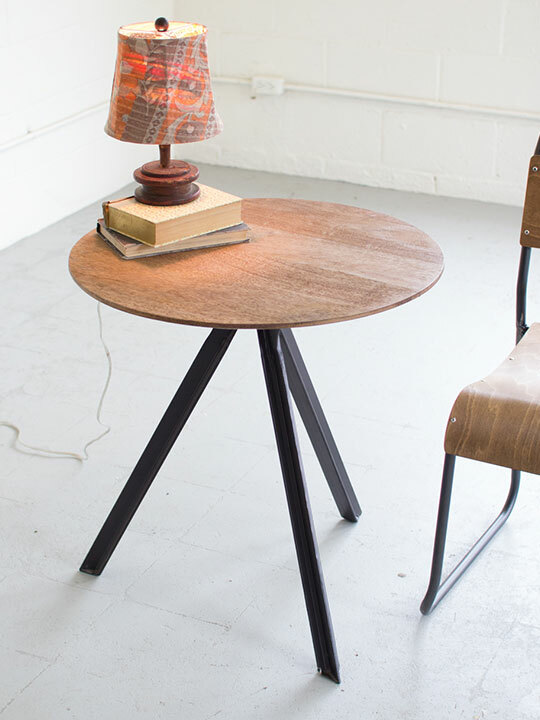 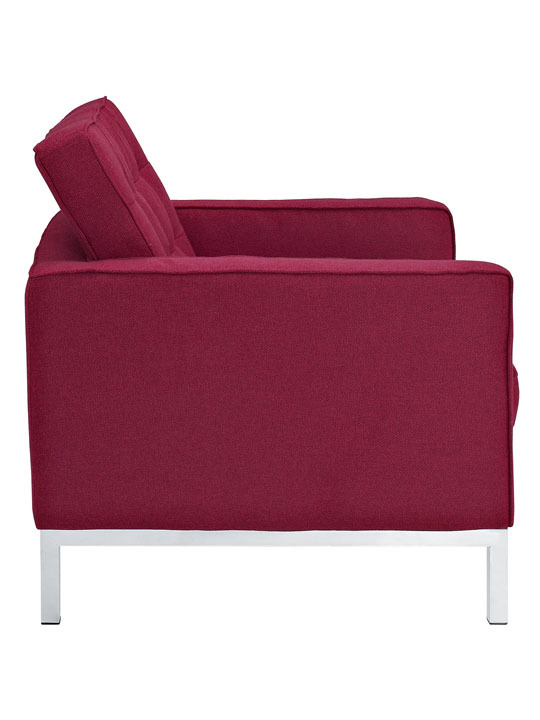 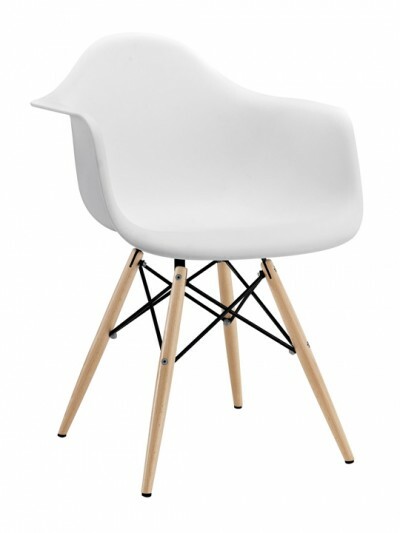 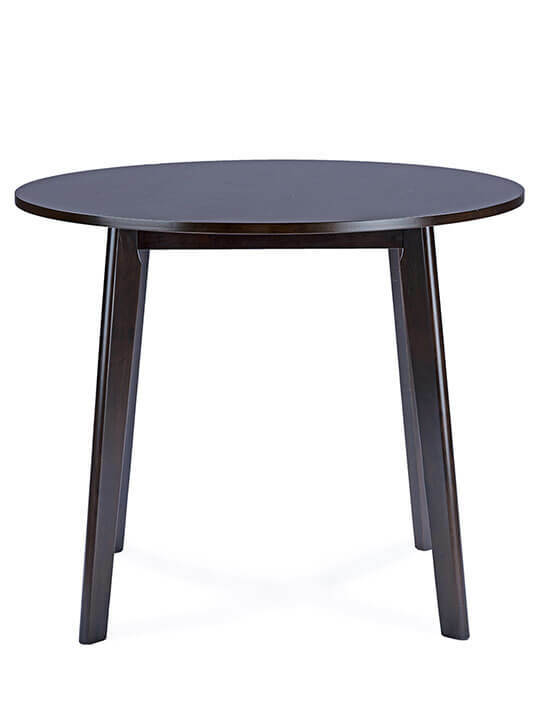 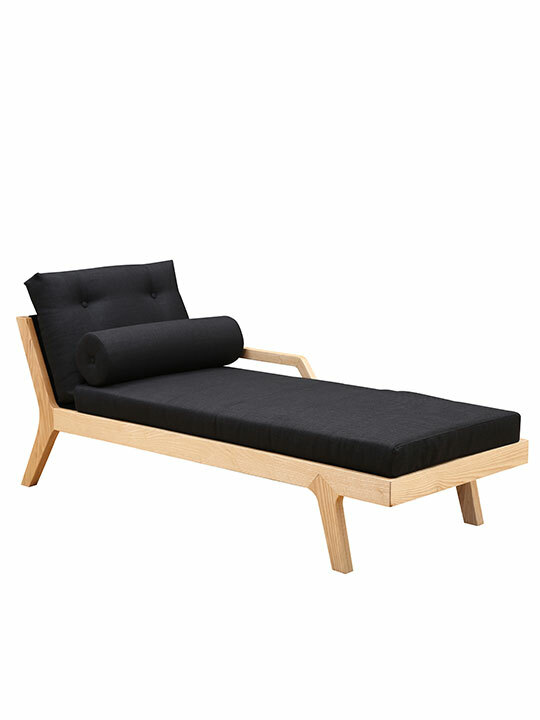 The chair features a polished stainless steel frame and high quality wool cushions. 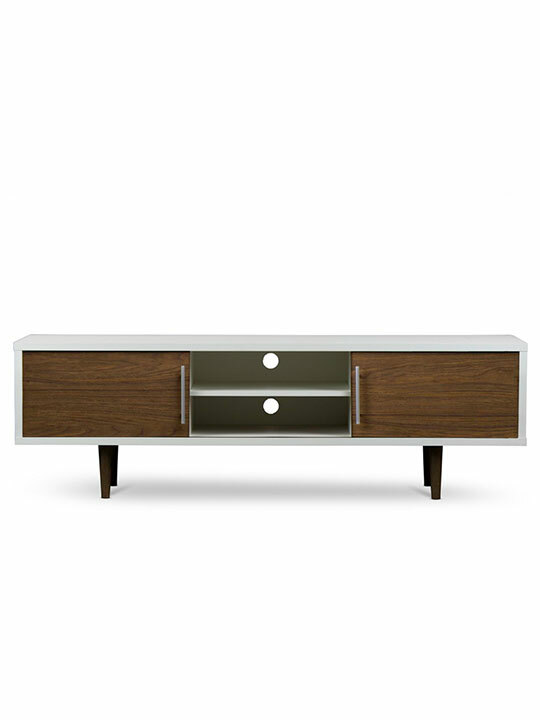 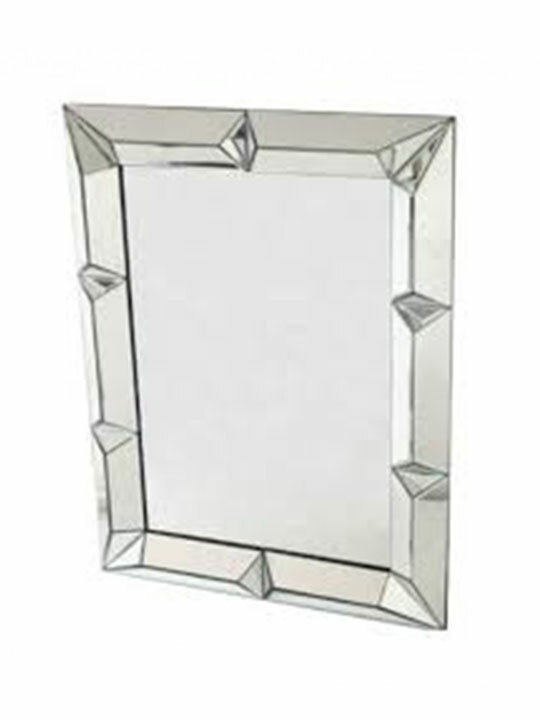 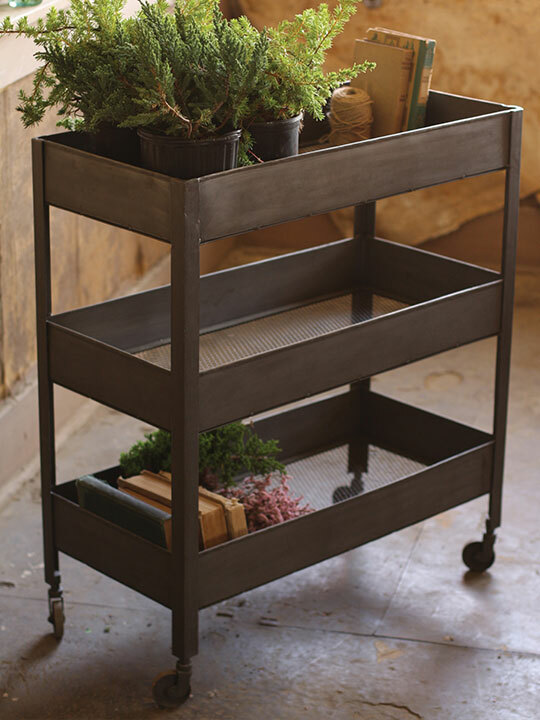 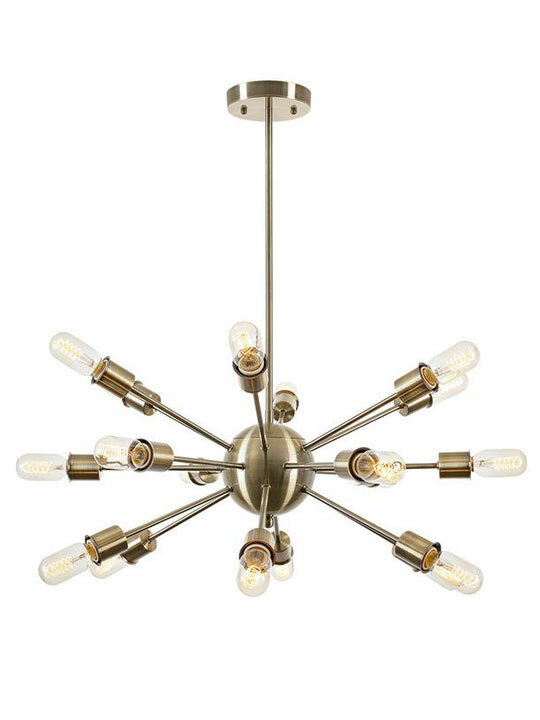 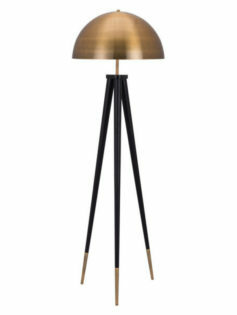 Available in Dark Grey, Beige, Red, Orange, Green, Brown, and Blue.